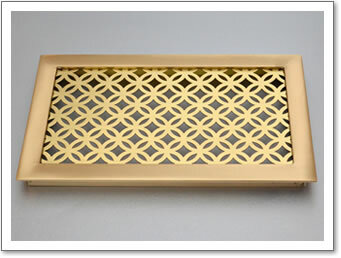 Select a grille, finish and brass frame style and we can manufacture to the exact measurements supplied. 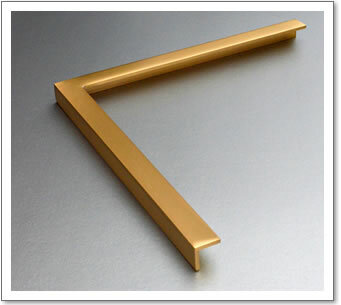 Brass Tacks offer a bespoke frame making service. For more information call 0208 866 8664. All of the grilles featured on this site can be fitted into a frame. 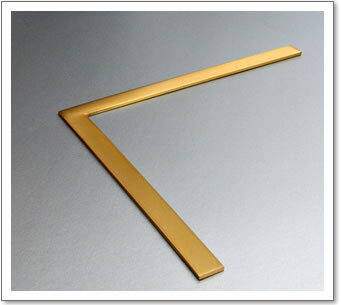 Made from 1/8" (3mm) thick brass extrusion they are available in various different finishes. All corners are mitred and soldered and the frame highly polished. The following frames are available: T Section, Angle, Channel or Flat in the following sizes: 1/2", 3/4" or 1" (13mm, 19mm or 25mm). The images below show the 4 profiles available and a perforated grille fitted into a frame, all shown in satin brass finish. Perforated brass grille mounted in a T Section Brass Frame. There are two designs of linear grilles, framed or unframed. 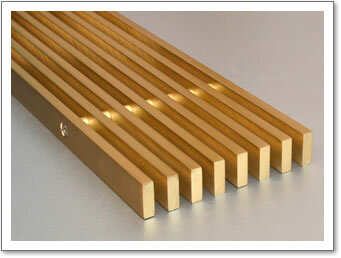 Either grilles are offered with a choice of 3/4" x 1/8" (19 x 3mm) or 3/4" x 1/4" (19 x 6mm) bars. The bars can be spaced at either 1/4" (6 mm) or 3/8" (10mm). If required, the bars can be angled at 15 degrees to deflect the air flow. 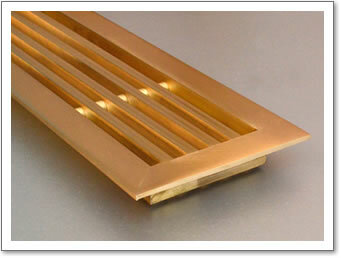 Framed grilles are manufactured using 3/4" x 1/8" (19 x 3mm) brass angle. All linears are available in a number of special finishes. As the linear grilles are made to order, if you require different spacing, bar size or frame size then please contact us. 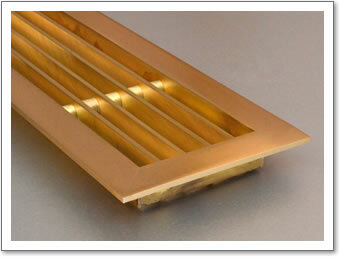 Linear brass grille with 3mm bars and 10mm spaces without frame. 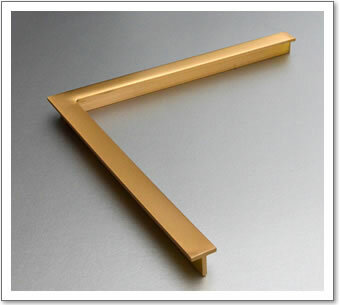 Linear brass grille with 3mm bars and 10mm spaces with frame. 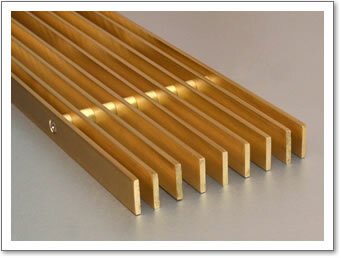 Linear brass grille with 6mm bars and 6mm spaces without frame. 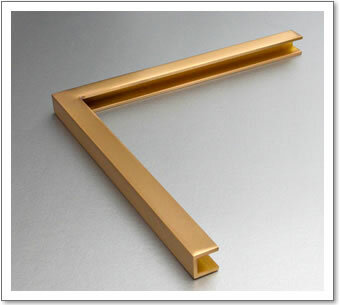 Linear brass grille with 6mm bars and 6mm spaces with frame.